I have lived all my life in the countries tagged frontier markets and began my investment journey there, both as an investor and as an analyst. Investment success in frontier markets require a certain mindset that most developed market investors don’t have. 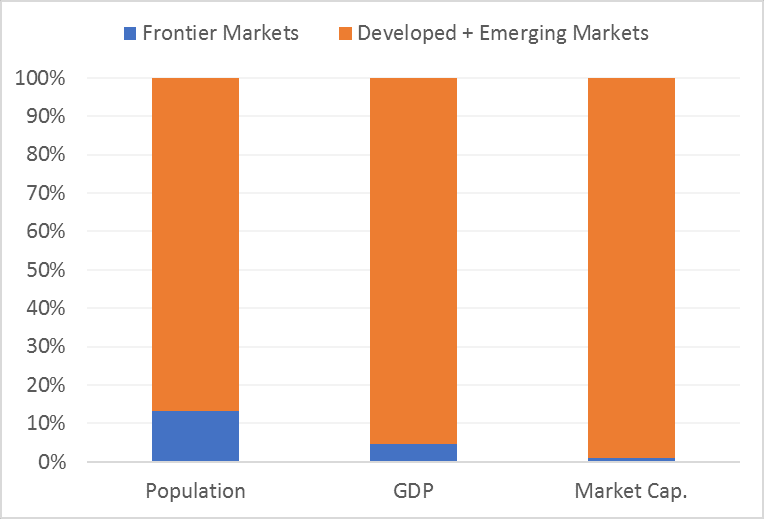 Frontier markets are countries with very weak equity market structure, have low market capitalization and are generally hostile to foreign investors. Most frontier markets are low income countries with fragile systems of government. They also pose a high currency risk as their currencies are often tied to performance of the highly volatile commodity markets — from crude oil to coffee. Using the S&P Frontier BMI (Broad Market Index) classification and IMF’s 2015 global GDP and population data published in October 2016, frontier markets make up 13.26% of the world population and 4.58% of the world’s nominal GDP. Yet they make up just 1.01% of the global market capitalization. These very high disproportions between population share, GDP share and market capitalization share are similar to what the current emerging markets were like 30 years ago, and the savvy investors are quick to recognize the high returns that will result from a similar rise in the frontier markets. Currently, many investors are becoming less enthusiastic about frontier markets. The investment returns from frontier markets have been lagging that of the developed market in recent years. The largest developed market ETF by total assets is the iShares MSCI EAFE ETF and its index is the most used benchmark for the developed markets excluding USA and Canada; over the last five years it has returned 5.24%. The equivalent for the emerging markets is iShares MSCI Emerging Markets ETF which returned 0.64% over the last five years. And for the frontier markets, iShares MSCI Frontier 100 ETF which was established in Septmenber 2012, has a total return since inception of 4.54%. When you factor in the 13.32% return of the USA Broad Market Index and the 4.92% return of the Canadian equity market over the last five years, the developed market performed a lot better than both the emerging markets and the frontier markets. And that brings up the first mindset change an investor looking to succeed in frontier markets should have — long-term investment horizon. Anyone who enters the frontier market with a medium or short term investment time period will be setting himself up for disappointment. If you put money you need in two years in bonds and the money you don’t need for the next six years into US stocks, then you should put money you won’t need for the next 20 years in frontier markets. And it’s no exaggeration. I live in one of the biggest frontier markets, Nigeria. It is the second largest frontier market both by population and by GDP. The equity market index, NGSEINDX, has a nine year annual return rate of -8.61%. And within that same time frame, the currency, Naira, has dropped from 117/USD to 317/USD. 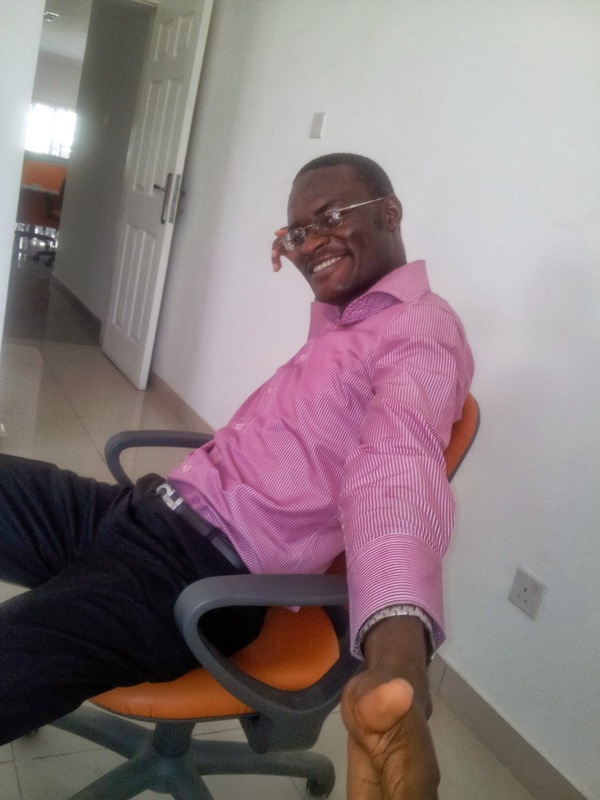 A foreign investor who puts 1 million USD into the Nigerian equity market in 2008 would have seen it declined to 164,058.36 USD and still face capital repatriation difficulty as the government has put up foreign exchange controls that limit foreign exchange availability to only importation of essential commodities. This is not an uncommon occurrence in frontier markets. Similar drastic drop in equity market and currency value happened in Argentina recently. To access the high potential returns in these high risk markets the investor must have a long-term investment horizon in mind. The second mindset to have is one of ignoring general macroeconomic predictions. It is common to hear that the frontier markets have a very young population that is growing faster than that of other countries which leads, in general macro-economic terms, to higher income and consumption. Yes, they are correct but the reality within the countries are not what you would expect. Nigeria has been growing its nominal GDP year on year till the mild recession last year but that increased income level is not evenly distributed among the population. The income disparity shot up making any investment decision based on the premise of growth in GDP per capita hit a rock. Also consumption has risen but a larger chunk of that increase is on consuming foreign goods and not goods produced by companies listed on its stock exchange. It is estimated that there are over 500,000 active companies in Nigeria but just a paltry 176 are listed on the stock exchange with entire major industries like the telecommunications industry, power industry and advertising industry not represented at all. So those macro-economic growth figures don’t trickle down as expected to the equity markets. And, again, it is same across most of the frontier markets. Any investor seeking to invest successfully in the frontier markets should have these things in mind and work with local partners or mutual funds who thoroughly understand the in-country economics. It is not a market for the faint heart or quick gain investors.